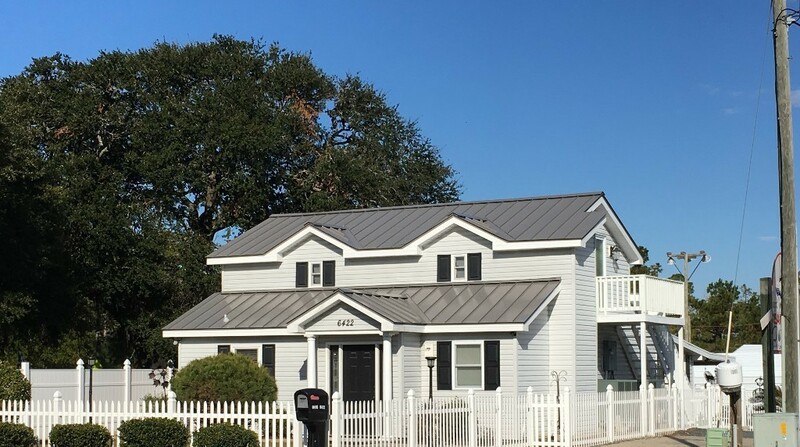 All metal roofing will contract and expand with the changes of temperature, and Mother Nature's harsh beatings (wind, rain, lots of sun, hail etc). Thermal movement can cause fasteners (nails, bolts, washers, screws and the like) to loosen and back out over time. This results in weakening of the roof - more vulnerable to damage due to up-wind resistance. Moisture is more likely to make its way through and you will begin to see wood rot. A Double-Lock Roofing System will not only make for a stronger roof, but give your home or business the curb appeal you were going for with a clean cut finish. Double-Lock Roofing Systems are long lasting and durable, making your roof one less thing to worry about for your residential or commercial property.